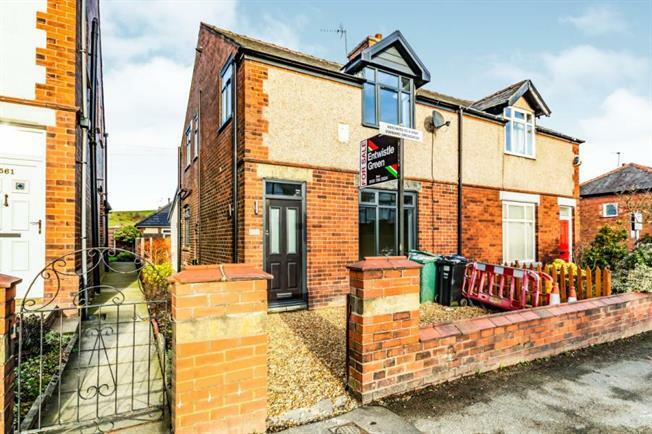 3 Bedroom Semi Detached House For Sale in Bury for Offers Over £180,000. Entwistle Green are delighted to bring to the market this recently renovated semi detached property located on Rochdale Old Road, Bury. The property is ideally situated within a stones throw of Fairfield Hospital with excellent access to both Bury and Rochdale town centres, local schools, amenities and transport links. This extended family home has been renovated to the highest of standards by the current owner including rewiring and replastering, internal inspection is a must to appreciate the accomodation on offer. Briefly comprising of an entrance hall, lounge, spacious open kitchen/diner consisting of grey high gloss units, integrated appliances and complementary wooden work surfaces, bifolding doors and skylights, three well proportioned bedrooms and modern family bathroom with mosaic effect tiling. Externally the property offers a forecourt, permit parking and a landscaped garden to the rear.